"Even if you become an astronaut and discover other planets, it will not be as great as discovering your own Self right here on Earth"
Rebirthing is a safe and natural breathing method which connects us with our subconscious mind - the house of our deepest thoughts, beliefs and desires. As well as being a form of therapy which can help with any issue, from depression to relationship difficulties, it is also a simple tool to get to know yourself better. Most importantly however, it is an ongoing transformational process which helps us master our mind and body, eventually enabling us to achieve a blissful and abundant state in our daily lives. Through using the breath in a circular way, which means without pausing between the inhale and the exhale, an energy flow is created in the body. This energy flow gently “forces out” or helps release stuck negative emotions which are stored in the “cellular memory” of the body. As these emotions are integrated and the breathing and energy flow continues, the breather goes a level deeper and achieves profound states of bliss, clarity and understanding about themselves or a specific issue they are dealing with. Ultimately, after a rebirth a person feels calm, clear and liberated, often significantly changing the way they feel about themselves or a situation and experiencing a lasting personal transformation. 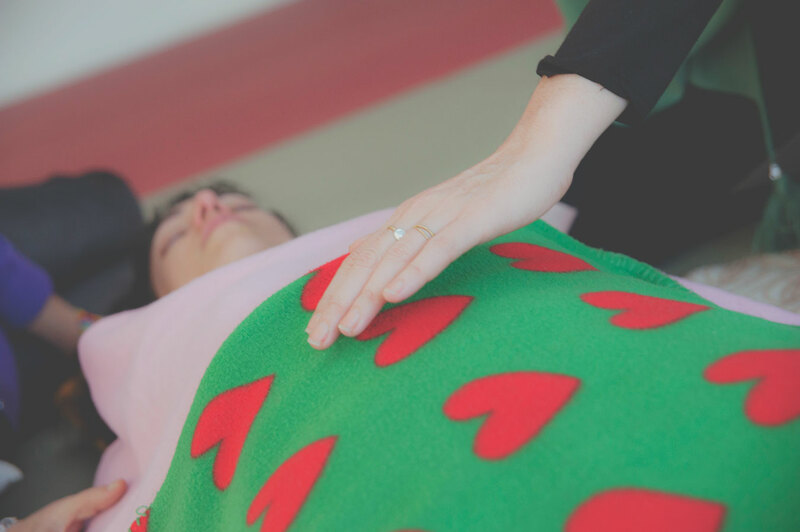 Rebirthing breathwork is greatly healing on all levels - physical, spiritual, psychological and emotional - and combined with affirmative thinking and other creative techniques, it is an excellent tool for self-development. Gentle and pleasurable but also dynamic and powerful, it teaches us to balance our lives and be in harmony with ourselves and our environment. Rebirthing is not connected to any particular religion but is definitely deeply spiritual. Its belief system relies on making our own decisions based on our own personal reality and search for happiness. It encourages individual thinking and taking responsibility for what we have created in our life, simultaneously giving us the understanding of our full ability to change our life to the way we want it to be. Rebirthing, at its final level, deals with understanding our true power, heightening our awareness and, combined with spiritual purification techniques, allows us to reach our full spiritual and physical potential. Is there a difference between Rebirthing and Breathwork? Rebirthing is a precise and very powerful breathing technique which was invented and perfected by Leonard Orr. When mastered it is also a way of life that leads to excellence, abundance, joy and spiritual clarity. This circular breathing technique usually conducted through the nose brings a very deep healing to the receiver who is washed in blissful sensations and a deep understanding of themselves. Breathwork refers to all breathing techniques, ancient or modern, through nose or mouth and using any specific parts of your breathing mechanism to achieve different states of awareness. Used by most cultures in various ways to deepen spiritual experiences and by others as a base for scientific research for physical and mental health, breathwork is also used for the training of individuals to grasp their ultimate potential, leading to the accomplishment of body and mind mastery for a variety of purposes.